It’s no great revelation that Disney is a for-profit corporation with targeted marketing strategies. In fact, of all the corporations marketing to children (or the child within us), Disney has the most targeted marketing I’ve ever seen. From my vantage point, this is what Disney marketing does so well: it takes everything that we as individuals do in order to protect our fragile egos–the constant self-justification, the universal quest for a manageable identity, the inevitable scorekeeping a la the Birmingham Mockingbird Conference–and then aims Disney products at that place inside all of us. We see this in the standard Disney movie formula, for instance: the primary character is usually on a quest to discover his or her identity in the midst of whatever adverse circumstances with which he or she is confronted. You’re probably already thinking of a plethora of Disney films that fit this formula: Dumbo, Bambi, pretty much every Pixar movie, just to name a few. And don’t get me wrong, many of these films are excellent. It’s ripe narrative territory, after all. This general plot-line is the formula by which the classic Disney movie has managed to seamlessly identify with its audience for years. And it has yielded undeniable dramatic dividends over the years (Beauty and the Beast has to be one of the greatest films of the last 25 years, to say nothing of Pixar). But if Disney can plant itself so deeply in that emotional sweet-spot where we are endlessly striving to find an identity in which the ego is protected and (we feel) we have control, they can do a lot more than sell movie tickets and DVDs. They can move lunch boxes, plush toys, and even Disney vacations, where such marketing reaches its absolute, and absolutely absurd, zenith. That is, at the risk of sounding like a party pooper, once you get to Orlando, the line between relatively harmless heart-string pulling and straight-up exploitation gets very blurry. 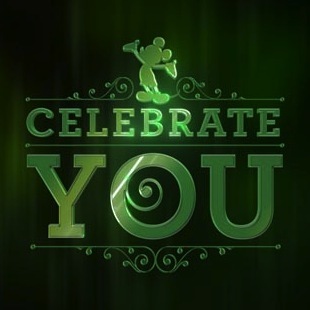 Celebrate you. Genius! What better to sell to people who are constantly seeking to justify themselves to others, to protect their fragile egos and shore up their identities, than an entire vacation marketed as a safe place, or perhaps more aptly an appropriate place, to go ahead and do what we would all really like to be openly permitted to do (if we’re really honest with ourselves): celebrate ourselves. And the surprising thing to me is that I actually liked it. Somewhere deep inside, the song sent chills up my spine. The Mouse is good at what he does. Really good. So, if you’d like to spend some time openly celebrating your favorite person (and who wouldn’t? ), then consider Walt Disney World for your next vacation. And I would suggest doing so very soon, while the recently-resurrected-but-only-on-a-temporary-basis Captain Eo is still showing at Epcot. But…we are suckers for this stuff.